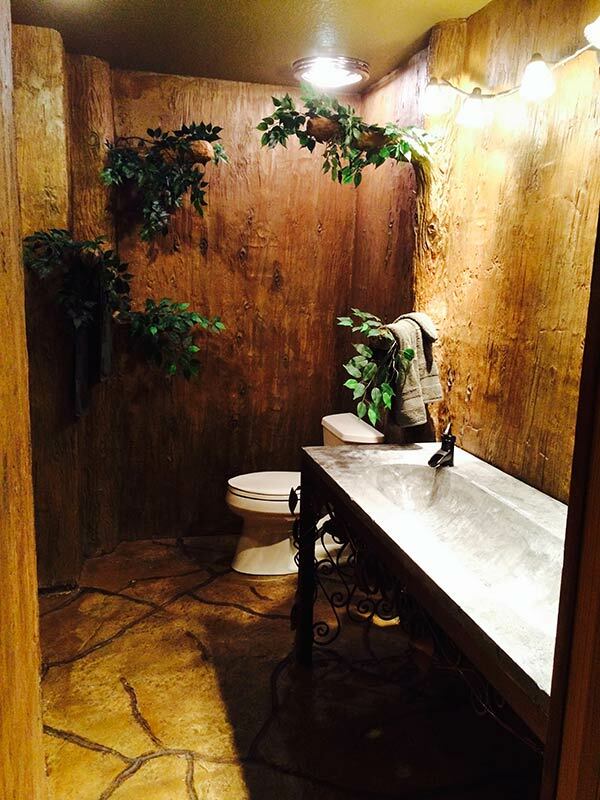 These indoor walls were painstakingly crafted by the artist to create a unique, one of a kind forest like atmosphere in this bathroom space. Anything is possible with concrete overlays. Even indoor forests that don’t need light or water!